Čapek later recalled that it was actually his brother Josef Čapek, the painter, who actually came up with the idea for the word. Josef Čapek also designed the costumes for the play. 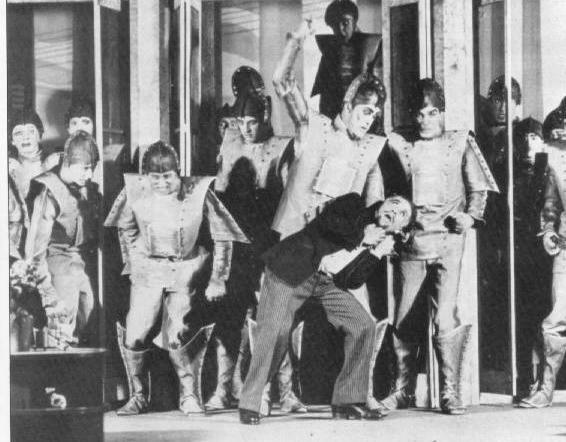 Robots have obviously become a commonplace in science-fiction books and films and increasingly as well in real life. There are even instances of robots being the focus of works that fall outside the science-fiction genre such as Spike Jonze’s fantastic 2010 short film “I’m Here,” which played at the Prague Short Film Festival in January (you can watch the film on its site or on YouTube here). 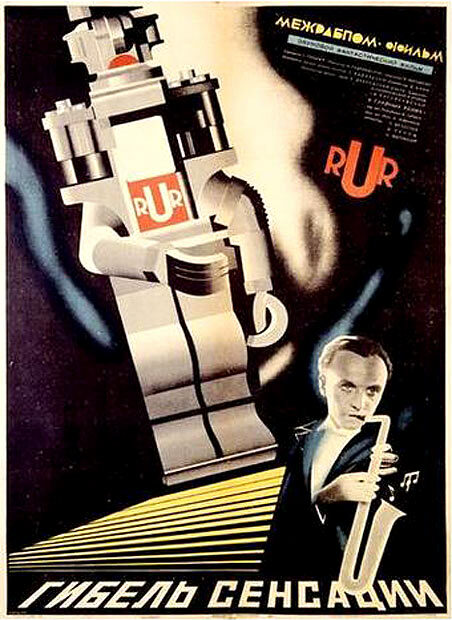 “I am terrified by the responsibility for the idea that machines may replace humans in the future, and that in their cogwheels may emerge something like life, love or revolt,” Karel Čapek wrote in Czech daily Lidové noviny in 1935. The 10 Best Put-Downs in Literary History includes Vladimir Nabokov’s withering assessment of Joyce’s last novel among other ruthless shots by the likes of Mark Twain, Oscar Wilde, Hemingway and Faulkner (the last two trading insults). A text of the entire interview is available here (though impossible to read online).